In 1997, Kathleen Hanna—frontwoman of feminist punk band Bikini Kill and one of the most prominent faces of riot grrrl—was at a crossroads. 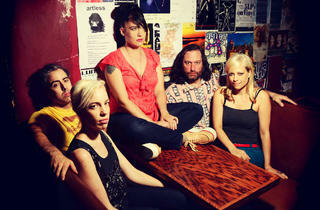 That band, and riot grrrl itself, seemed to be coming to an end, and Hanna was questioning her identity. As a way of coping, she wrote and recorded 15 songs in a closet in her Olympia, Washington, home, and released them under the pseudonym Julie Ruin. 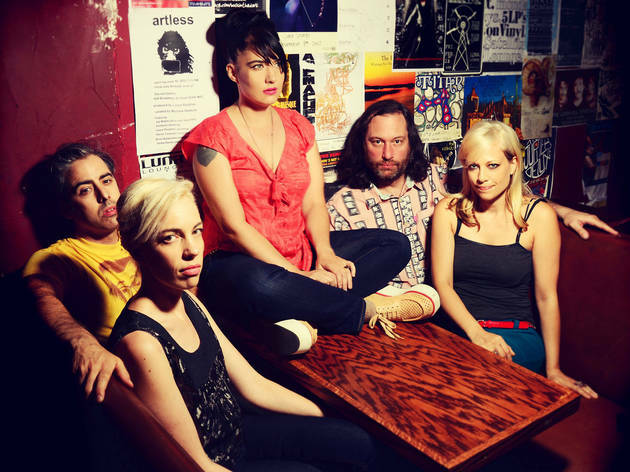 Plans to tour behind that album never came to fruition, but now, the Julie Ruin is back: Hanna revived the project as a full band in 2010, and the group just released its debut album, Run Fast, on September 3. See her finally perform tonight, with lovely opener La Sera (whom we hope plays "Never Come Around").